Welcome to the starting point for information about Optometry Board requirements and helpful practice information. You may also navigate to these pages using the pull down menus at the top of each page. State law requires all licensees to notify the Board within 30 days of any address change — home or office. Changes are accepted by fax (512-305-8501), telephone (512-305-8500), mail or e-mail. If you received a letter stating that fingerprints are required to renew your license, click on this link for instructions. Doctors with active licenses in the range 5647 – 6473 should have received the letter. If you did not receive the letter, please contact the Board. Click here to Renew License. Renewals for 2019 will be available starting November 1. This page has information on a variety of topics, such as ADA requirements, consent to treat minors, reporting requirements for suspected child abuse, patient record retention requirements, Medicaid / Medicare enrollment, and many others. Information Topics. The Board subscribes to a program that provides a confidential pathway to the treatment of addiction and mental health issues the may affect the doctor’s practice of optometry. Addiction and Mental Health Help. Information covering prescription requirements for drugs, contacts and glasses. Also information on obtaining a DEA permit. Prescription Requirements. The Board publishes a Newsletter once a year on this website. Every licensee will want to read the short newsletter to stay current with legal requirements, including new rules and laws. Newsletters. These pages provide information on the annual continuing education requirements, including links to courses approved by the Board. Continuing Education. License verification for another state, or for any reason: To obtain an official verification of a license, mail a request to the Board with $15.00 payment (check only). 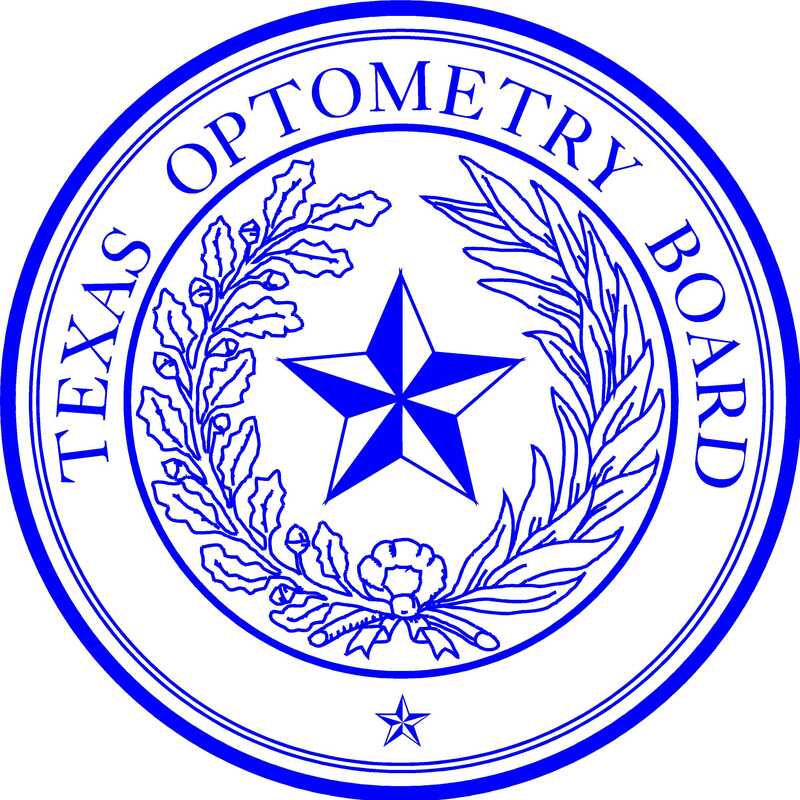 The practice of optometry is regulated by the Texas Optometry Act and the Rules adopted by the Board. Application forms and practice information.